Three days ago, I began to read 1Q84 by Haruki Murakami. At 1157 pages, 1Q84 is a mammoth novel, a veritable brick of a book, similar in proportion to the unfinished copy of Infinite Jest that currently rests about 15 feet away from me. In theory, 1Q84 is a poor choice of book for me right now. After all, 2015 has been a rather mild year for me, in terms of how many books I’ve read. In 2014, I think I read close to 30 books, but this year I’ve only finished 5 or 6 (I’ve partially completed several more). I blame the Internet for this. Or, rather, I blame my own frequent inability to resist the gravity of Twitter or Facebook or Reddit or Instagram or Snapchat. I don’t even want to think about how many books I could have read this year, had my time on social media been replaced by time spent reading books. But, I guess, that’s what I chose to do, so I’ll take responsibility for my actions. I did, at least, manage to read a whole hell of a lot of great essays on the Internet (see this list and this list). But, there’s something irreplaceable about books—something about losing oneself for days on end in the mind, the lifeworld, of another human being. Whatever this something is, it seems to nourish parts of me that are not easily nourished in other ways. From one point of view, reading a book is a particularly selfless action, as one relinquishes all egocentric thoughts and pursuits for an extended period in favor of traversing the thoughtscapes of someone whom one is not. It’s an admission that the lives and minds of others are rich and valuable—valuable enough to swim through, bathe in, for days or weeks at a time. Thus, reading is a kind of ego-deemphasis practice, similar to various forms of meditation or most any activity that allows one to engage a flow state. I’ve always found such practices to be deeply therapeutic, even purifying. For me, there’s also something about reading tangible books—you know, with pages and covers and scents—that fills me up in a way I can’t quite articulate. The book as an artifact has a special significance, a presence, that makes it feel more personalized, gift-like. When a book has truly captivated me, and when I’m cradling its weight in my hands, I feel as if I’m in on an intimate, hushed exchange of secret tales in the black of night between old friends. This is a special and cherished experience, and thus far, no digital text on my Kindle has elicited the same response. It also tends to be novels that do this to me. There is, for me, something enchanted about fiction, something ineffable and sacred about the way certain authors manage to birth a story so immersive that I feel like I’m living it, characters so vividly realized that I feel like I know them. Don’t tell anyone, but in my silly mind I view great novelists (and great artists in general) as wizards, magicians. 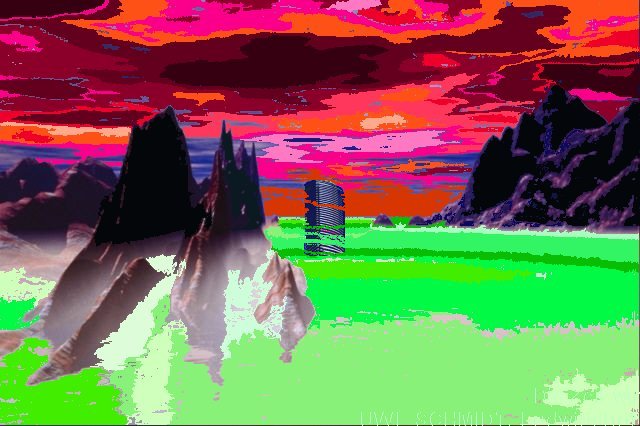 Somehow, potent works of art manage to conjure in their surveyors a particular feeling, or state of mind, or even an entirely new universe. What could be more deserving of the term “magic”? But I’ve digressed somewhat from the intended topic of this essay: Haruki Murakami. Murakami is one such wizard whose works surround me, swallow me, permeate my being, and transport me to worlds that feel no less real than the one in which I’m typing these words. And so far, his magnum opus, 1Q84, is no exception. As I mentioned earlier, 1Q84 was arguably a poor choice of book for me to begin reading at this time. Lately, my attention has been about as fickle and fragmented as that of an ADHD-diagnosed 6-year-old in a Toys-R-Us (thanks, Internet!). It’s reasonable to ask how I could possibly complete an 1157-page novel when I can’t even take a piss without checking my latest ‘likes’ and re-tweets. And yet I had a feeling that Murakami might be the one to rescue me from the abyss of Internet-age consciousness—that insatiable daemon groping frantically about for whatever fleeting, pacifying distraction seems likely to occasion a burst of dopamine. Three days after starting 1Q84, it seems I may be correct. I’m 111 pages in and utterly entranced by this story. I feel confident that I’m going to finish it fairly quickly. Admittedly, part of the reason for this is that I’ve begun to exercise consistently again, after a long spell of sporadicalness in that area of my life. I’ve also rediscovered one of my college-self’s favorite pastimes of vegetating in a sauna for 20-30 minutes after every workout. I’ve gone to the gym several days in a row now, and this routine has provided me with a built-in chunk of time each day to accomplish some reading. I read while on the elliptical or exercise bike, and I read while in the sauna (after about 10 minutes of meditation, another old habit I’m reviving). These three habits—exercise, meditation, and reading books (especially fiction)—have been surprisingly easy to resurrect. I think this is because of the particular rewards and triggers that became associated with this exact tripod of habits while I was in university. Exercise always leaves me feeling clearheaded, vital, and elevated, so the promise of those desirable effects is often enough to get me to the gym. On top of that, though, I always savored my post-workout sauna time. For me, the sauna feels like a hideaway, a Silent Chamber of Peace, cut off from the busyness and bustle of the world. In university, I would always look forward to meditating and reading in the sauna after a workout, and I (perhaps oddly) love the sensation of sweating. It’s always felt like I’m sweating out my impurities, my anxieties, my stresses. A few days ago, I paid a bit extra to have month-long access to the sauna at my local YMCA, and I’ve found that I love the sauna as much as or more than I used to. It’s lit, kids, seriously. So, anyway, the promise of the sauna and of feeling better afterwards gets me to the gym, and once I’m there, it feels natural to read while exercising and to meditate/read in the sauna. Simple goodness, really. Dammit, I digressed again, didn’t I? Anyway, back to Murakami. So, yes, this renewed tripod of habits is helping me to read more. But that’s not the only catalyst. I correctly suspected that Murakami could draw me back into book-reading because he is a writer who seems unfailingly to write irresistible page-turners. There are a few reasons for this that I can see. For one, I swear he’s discovered the Platonic ideal combination of steady pacing and incomplete-yet-tantalizing information. Having completed four of his novels now, I can tell you that his novels always seem to revolve around some mystery that needs to be solved, and he does an excellent job of hinting at the grandiose and ominous nature of the mystery within the first few pages, while providing almost no information regarding the mystery’s actual attributes or dimensions. As the novels progress, he gradually reveals the mystery’s shocking, sprawling architecture and all-penetrating implications, dispensing just enough detail at just the right intervals to keep his readers (or, me at least) hopelessly ensnared. The protagonists in Murakami’s novels tend to be ordinary, solitary people who suddenly find themselves wrapped up in some sort of epic, supernormal circumstances and must undertake a quest that is as much a quest to the heart of their true identity as it is a quest through the external world. He’s so casual, so blasé, about this, that the flow of the story isn’t interrupted. Strange, surreal things happen in Murakami novels, but they seem completely natural because he acts like they are. The reader just goes right along with him. 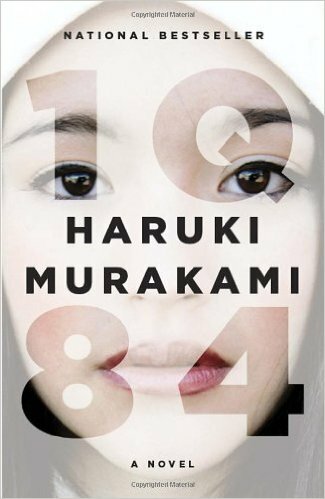 Thus Murakami manages effectively to marry normal and abnormal, real and surreal, conventional and magical. The best comparison I can make is to say that reading a Murakami novel is like being in a dream, in that things are clearly off, clearly not the way they typically are, and yet one doesn’t really notice or care, accepting things at face-value. This makes for a uniquely mind-stirring, almost psychedelic, reading experience. Like all great novelists, Murakami also has a way of leaving you looking at our reality a bit differently, cocking your head a bit, noticing the arbitrary peculiarity and strange suchness of this labyrinthine world in which we find ourselves. If Ralph Waldo Emerson was right that, “The invariable mark of wisdom is to see the miraculous in the common,” then Murakami is surely a wise man. 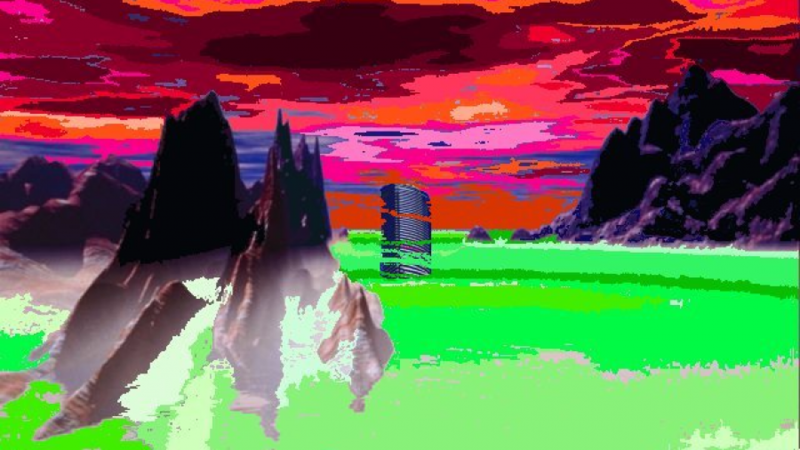 Only someone who is already seeing our world, this reality, as something decidedly surreal, magical, enigmatic, and unbelievable could create the fictional worlds he has created. I too tend to view the everyday world in such a way, and that’s probably why I find Murakami’s style to be so hypnotic, so true in its un-truth. Murakami’s art, like all of the best art in my universe, has made me feel less alone. Through some inscrutable alchemy, it has equipped me to process my own suffering. It has instructed me in uncommon methods of kissing uncertainty, and it has nurtured in me a sense of existence as an occasion for play and wonderment. For all of that, Haruki Murakami, let my “thank you” echo and echo and permeate the abyss for eternity. In order of how much I recommend them: Kafka on the Shore, The Wind-Up Bird Chronicle, Hard-Boiled Wonderland and the End of the World, and Norwegian Wood. 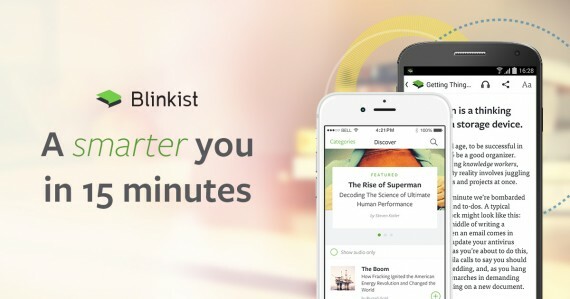 If you would like to read more non-fiction books but are short on time, Blinkist is a great way to absorb the ideas of entire books quite rapidly. 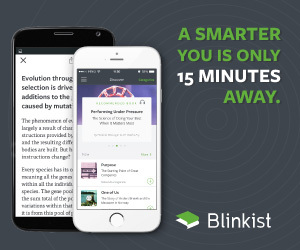 It’s a cool service that provides 15-minute summaries of the key insights of 1,000+ best-selling non-fiction books. You can try the service for free, and they’re currently running a Christmas promotion that gives you a free subscription to give away, if you buy one yourself. Thought Experiment: Would You Rather Have Experienced None of This? Lately, my attention has been about as fickle and fragmented as that of an ADHD-diagnosed 6-year-old in a Toys-R-Us (thanks, Internet! Where is this information?